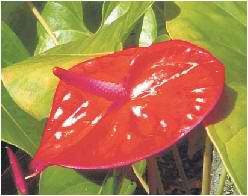 What are the classes of anthurium sizes? 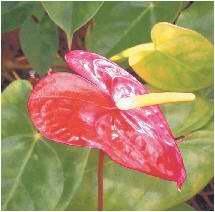 Hawaii Revised Statutes address the standards in a manner that makes it easy to order the best size for your arrangements. 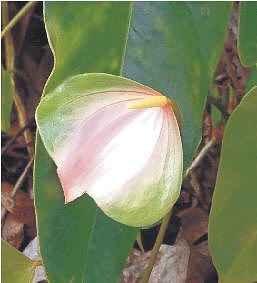 Here we paraphrase the “legalese” for classifying the anthuriums. 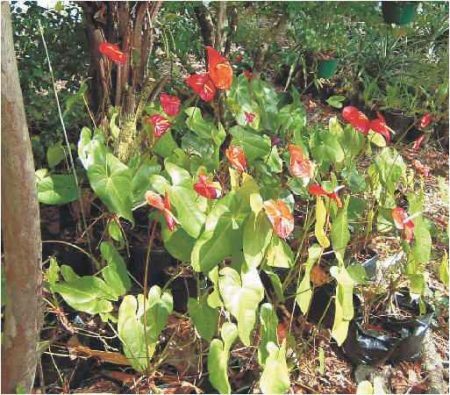 Fortunately, varieties can be sorted into larger categories ranging from Miniature to Extra Large. 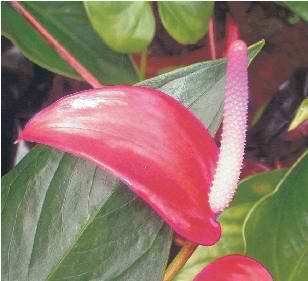 Size means the dimension of the flower, determined by averaging the length and width of the flower. Stem lengths are minimums. Our cut flowers start at the minimum length. Under 3 inches. Some varieties are grown only as miniatures. Stem length from 3 to 7 ½ inches. Suggestions for use: bridal & bridesmaid bouquets, boutonniere, buttonholes, corsages, hair ornaments, bud vase, small dinner table arrangements. 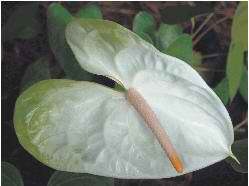 Hawaiian Butterfly and Lady Jane are usually in the miniature to small flower range. Over 3 and up to 4 inches. Stem length is 4 to 10 inches. Suggestions: bridal and bridesmaid bouquets, hair ornaments, bud vase, fill in flower arrangements of larger flowers, office desk beautification, banquet table arrangements. Purple ARCs and Lavender Ladys are usually miniature to small. Kalapanas range from miniature to extra-large. Over 4 and up to 5 inches. Stem length is 5 to 12 ½ inches. Suggestions: wedding aisle arrangements, fill in with larger flowers, banquet table arrangements, medium vase. Over 5 and up to 6 inches. Stem length is 6 to 15 inches. Suggestions: wedding aisle arrangements, altar arrangements, banquet tables, large vases, anytime you want to impress someone. 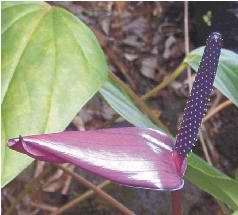 long stems in relationship to size which is small to medium. Over 6 inches. Stem length is 6 to 15 inches. Suggestions for use: wedding aisle arrangements, altar arrangements, banquet head tables, large vases, great for making a “big splash” of color.